Brought to you by bitgrit. A platform fostering open communication and innovation in the world of AI within industry, academia, and local communities. The World Data Science Forum is our effort to foster a culture of open communication and provide a glimpse into the diversity that can be found in the world of data science. This conference-style event brings together speakers spanning across a wealth of different backgrounds to share their insights on the use of data science in the world - coming from the worlds of not only industry and academia, but also local data science movements and more. Vol. 1 and Vol 2 of the WDSF, hosted in 2018, were both hosted simultaneously in India and Japan - meaning that speakers and audience were present in two venues at once, facilitated through a live video stream. For Vol. 3, we have made a leap from the East of Asia into the Middle East - hosting our event in late March in Dubai. For this event, our event has manifested as the bitgrit Summit. WDSF gathered the brightest minds in the AI and Data Science world. Learn new skills and get insights from experts from around the globe! *A post-event for bitgrit staff, campus ambassadors, and VIPs/organizers will be hosted in a separate venue for dinner and networking. Invitation only. Both non-alcoholic and alcoholic beverages and refreshments will be provided at the party. bitgrit is an Asia-based network platform geared towards data scientists. In utilising the capabilities of blockchain technology, bitgrit develops mechanisms that allow for the optimal application of data science and AI within the context of society. Copyright © bitgrit 2019. All Rights Reserved. Cansu is the founder and director of the AI Ethics Lab, where she leads teams of computer scientists and legal scholars to provide ethics analysis and guidance to researchers and practitioners. She has a Ph.D. in philosophy specializing in applied ethics. She works on ethics of technology and population-level bioethics with an interest in policy questions. Prior to the AI Ethics Lab, she was a lecturer at the University of Hong Kong, and a researcher at the Harvard Law School, Harvard School of Public Health, Harvard Medical School, Osaka University, and the World Health Organization. She tweets @ccansu. Todd Terrazas is a social entrepreneur, collaboration catalyst, and the President of the AI LA Community. Todd exited his company to pursue a more meaningful endeavor: the AI LA Community. AI LA was created because Todd was unsatisfied with the quality of educational events occurring on the east side of Los Angeles. After a series of successful initial events, he realized he was good at and greatly enjoyed bringing people together to discuss technology and philosophy under one roof. Today, the AI LA Community is a California non-profit pursuing 501c3 status with a mission to increase knowledge sharing, innovation, technological advancements, and economic development in the Greater Los Angeles area. The AI LA Community explores the impact artificial intelligence (AI), machine learning, and other frontier technologies will have on humanity. Todd is a graduate of the University of Southern California's School of Cinematic Arts, where he focused on entertainment business and short-form storytelling. Oliver Hall is the Head of Technology Investments for Copenhagen Capacity, which is the official inward investment agency for Greater Copenhagen. He has over 10 years of foreign direct investment experience across Europe and Asia and is responsible for attracting overseas technology investors to support Copenhagen's ambition in becoming the world's first carbon-neutral capital by 2025. 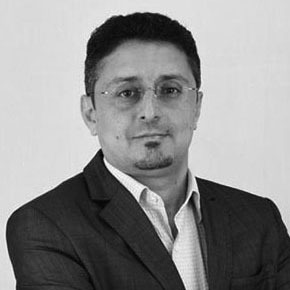 Eiad Yafi is a Senior Lecturer at Malaysian Institute of Information Technology, Universiti Kuala Lumpur. He has received his PhD in Computer Science (Data Mining) from Jamia Hamdard University, India in 2011 and a Master in Computer Applications from the same university in 2004. His research interests are but not limited to Data Mining, Artificial Intelligence, Social Media, Human Computer Interactions and ICT4D. Experienced Quantitative Portfolio Manager and Cross-Market Strategist with 8.5 years experience within various areas of the financial services sector. She holds a unique distinction of being among 2% of women globally who are portfolio managers running statistical arbitrage strategies in hedge funds. Tanya was closely aligned with Arqaam's capital Artificial Intelligence drive within the asset management team in 2014 and set up the region's first statistical arbitrage market (market neutral) equity fund using machine learning for advanced econometric analysis. She holds a Masters Degree in Finance from Manchester Business School and appears on Bloomberg HT, Reuters and Economic Times (ET now), India's No. 1 Business News Channel, Owned & Operated by the Times Network. Dr. Nazar Zaki is a Professor and Chair, Department of Computer Science and Software Engineering and Leader of the Data Science research group, College of Information Technology. His research interest is in the fields of Artificial Intelligence, Data Science, Machine Learning, and Bioinformatics. He mainly focuses on developing intelligent models to solve problems in specific domains such as biology, business, education, and social networks. Dr. Zaki published more than 100 scientific results in reputable journals and conferences. He received several scholarship awards such as the College Recognition Award for Excellence in Scholarship in 2007, 2012 and 2016, respectively, the best paper award in leading conferences such as ACM Genetic and Evolutionary Computation Conference in 2011, Chancellor's Annotation Award in technology in 2015. Dr. Zaki is also a frequent recipient of certificates of achievement for publishing in top journals and bringing recognition to the UAEU. Sara Al Zarooni is the Head of Data Management, Compliance and Engagement at the Smart Dubai Office. Sara leads the city's data management and governance, and improves compliance through encouraging use of the data compliance framework. Sara is also responsible for building the city's Data Ecosystem by regularly offering training and education on data compliance and management. Sara previously worked as the IT Head of the Project Management Office at DEWA where she lead re-engineering and improving business processes for the entity. Sara also worked as a Change Management Specialist at TECOM Group, and holds a Bachelors in Management Information System from the University of Sharjah. Sultan Lootah occupies the role of the Chairman and Ceo of Hetachain and Managing partner of Vault investments, Sultan Lootah Petroleum, chairman of the Emirati-Norwegian Chamber of Commerce in Oslo ,as well as the chairman of Vietgate General Trading. He was CEO of the Mohammed bin Rashed Al Maktoum foundation from October 2012 to July 2014 and he handled the role of Acting CEO and the Executive Director of Entrepreneurship Development at the Mohammed bin Rashid Al Maktoum Foundation from 2008-2012. 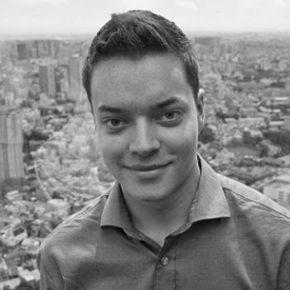 Frederik Bussler is the CEO of bitgrit, a democratic AI platform directly connecting data scientists to industry problem statements. Before heading bitgrit, he founded a cybersecurity company in the blockchain space named Smart Contract Auditing, co-founded a vertical farming startup named EinFarm to solve sustainability issues, worked as Chief Data Officer for a democratic AI startup in the health space, advised a stock exchange, studied abroad, and worked as an analyst at Maven 11 Capital.